Wichita Mountains. Wildlife Refuse. Oklahoma. Description: View of beautiful landscape with lake and autumn colors of wild growing trees and brush. 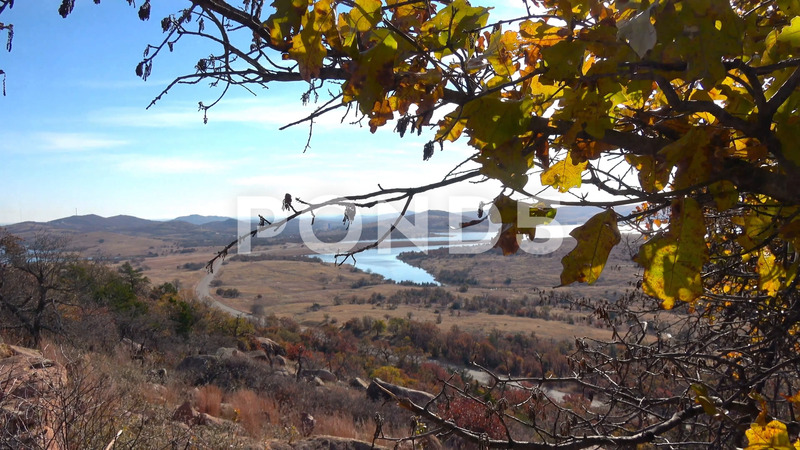 View from Wichita Mountains.